Garage Doors – you just don’t pay attention to them unless they suddenly stop working! But when they do, make sure you call the experts. At ASAP, we understand that your garage is more than just a place to park cars and store belongings. A garage is indeed an important extension to your living space. It also constitutes the largest and most noticeable entrance to your home. So why not make your garage as attractive and functional as possible? If you’re looking for professional garage door companies in Essex, NJ your search should end at ASAP Garage Door Repair in Essex – call us for a free quote right away! A family owned and operated business, ASAP Garage Door Repair does not work with any sub-contractor. We are well aware of the world of garage doors. After all, ASAP has been in business of garage door installations, replacements and repair for a long time. We are passionate about our work because it involves your safety and security. This is the main reason we work round the clock to offer you impeccable services even in the oddest hours such that you get complete piece of mind knowing that we’ve got you covered 24/7. Why Hire Professional Services for Garage Door Installation in Essex? Installing a new garage door is not as easy as it might sound. It requires precision, technical knowledge and careful handling of all its parts. At ASAP, we pride in the quality of workmanship that we deliver. Each of our highly qualified and skilled technicians has undergone rigorous training to be able to proficiently handle all complicated tasks successfully. 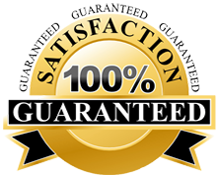 We guarantee to deliver a service that will surpass all your expectations. That is why today we’re rated amongst the top notch garage door service providers in Essex NJ. We understand that a garage door can jam or break at any time of the day or night, and keep you from taking your car out, even when you’ve to attend an urgent meeting, or take an injured family member to the hospital. To cater to all such emergencies, ASAP garage door repair services are always prepared – call us at any time of the day or the night (201)628-0104 and our experts will reach you at the earliest possible. You can get a free quote on phone as well online – internet users can fill out this short form and get free instant quote. This entry was posted in Essex on April 25, 2014 by admin. © 2013 www.asapgaragedoorsrepair.com All rights reserved.